A successful and exciting month of competitive sports fiesta, "COAS Trophy-2075", concluded on October 05, 2018. 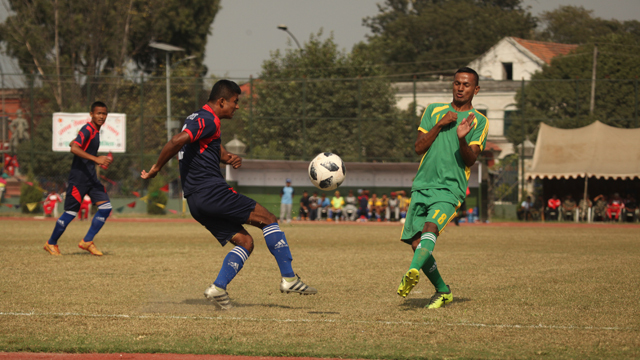 A ceremony was held to mark the conclusion by Chief of the Army Staff (COAS) General Purna Chandra Thapa at Nepali Army Football Ground, on October 05, 2018. COAS Gen Thapa presented the Divisional Level Football Running Shield to Valley Division HQ, who secured victory over No. 14 Brigade HQ in the final match of the running shield football competition. COAS Gen Thapa also presented COAS Trophy to No. 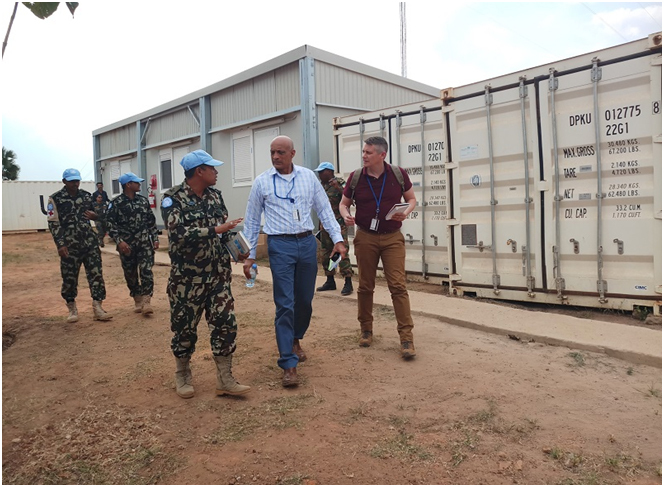 16 Brigade HQ for securing overall first position. During the event, COAS Gen Thapa felicitated WO1 Kamal Bahadur Adhikari of weight lifting and CPL Som Bahadur Kumal of athletics of Tribhuwan Army Club, who set the new national records during the 18th Asian Games 2018. Likewise, COAS Gen Thapa presented the "Ajeyabal Trophy (Female)" to CPL Bishnurupa Budha and the "Ajeyabal Trophy (Male)" to WO1 Kamal Bahadur Adhikari during the same event. 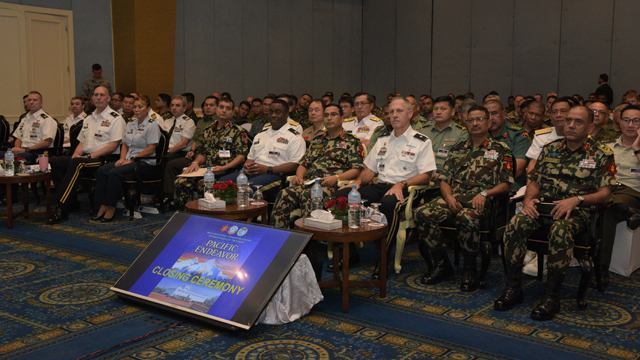 Ex-COASs of Nepali Army, Chief of General Staff, Chiefs of other security organizations, high ranking officials of Nepali Army, residential Military Attaches, President of ANFA, officials of National Sports Council (NSC) and media personnel were present on the occasion. 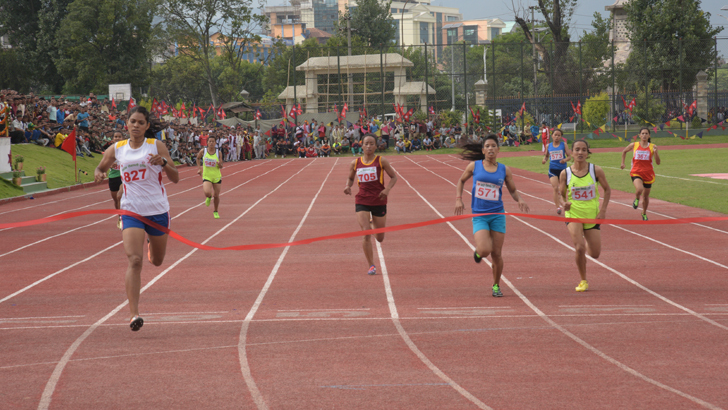 Nepali Army believes, this kind of sports competition enhances the development of physical fitness, skills, discipline and moral character of a sport person, which ultimately prepares the players to participate and win the national and international sport event. 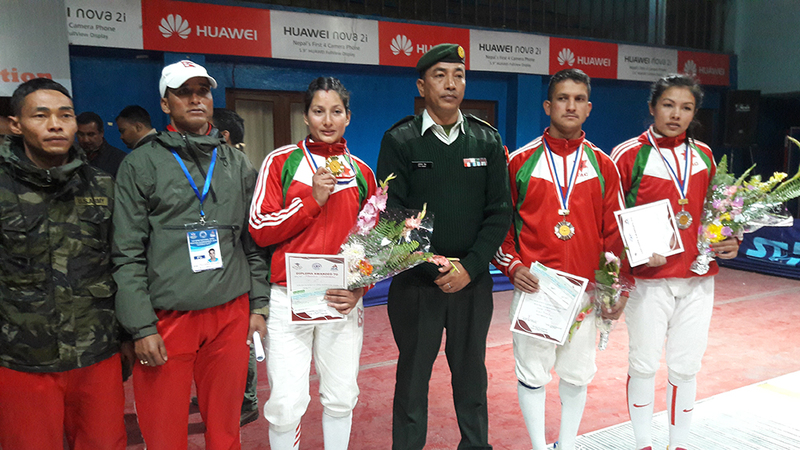 TAC clinched medals in "1st EPEE Open Fencing Championship-2018"